This Complete Guide to the Drivers Hours has been prepared by Chris Allen the head trainer at Chartwise UK a transport consultancy who have been helping drivers and operators stay compliant for over 25 years. 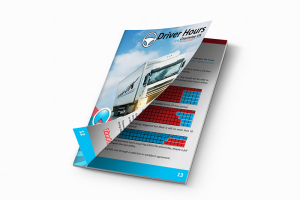 The complete drivers hours handbook is a 35 page E-book which can be viewed on any computer or smartphone. Click on the right handbook for you to download it for FREE. Lighten the Load - Join Chris Allen as he covers common questions and answers your specific questions live every week. Until we found your website we were operating illegally with no idea about the rules. I don’t know how we got away with it for so long but I just want to thank Chris for all his advice and John for helping us set up the systems we needed to stay on the right side of VOSA. We use the driver training dvd all the time. When i get the tachograph reports back the worst two drivers are pulled into the office and made to watch the dvd before starting their shift. Just doing this has reduced the number of infringements by over 60%. I also like your emails each week, they have helped us improve our transport department over the last 9 months. 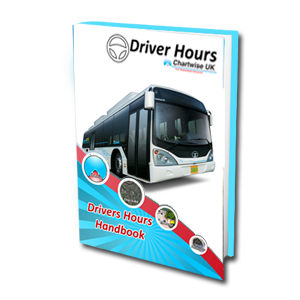 I have provided all my drivers with a copy of the drivers hours handbook and the feedback has been brilliant. The difference in the number of driver hours offences is already noticeable after only a month. When you add up all the potential fines from 63 drivers it can be very costly so I can already see how this has saved us money. I just wanted to say thank you for the drivers hours handbook. 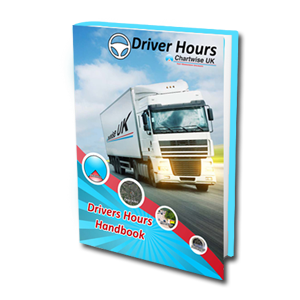 It is a brilliant and easy to understand guide of the drivers hours rules and I have used it over and over again to teach my drivers about the drivers hours law. I have also given all the drivers the in cab guide sheet too and the drivers all use.